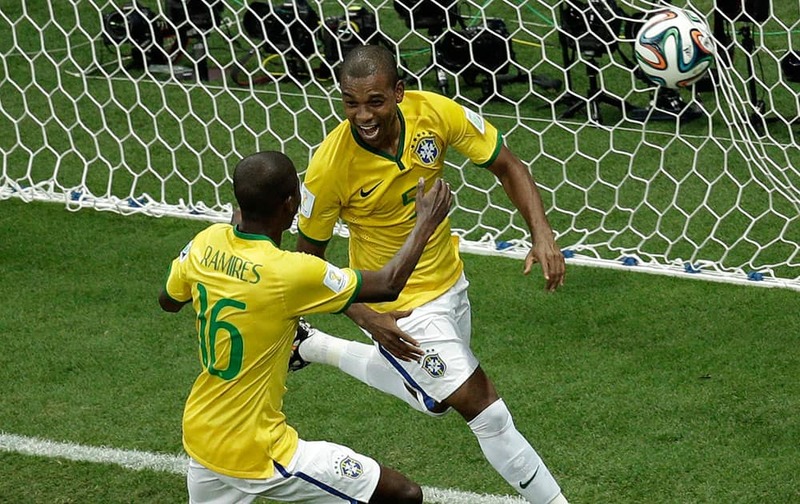 Brazil's Fernandinho, right, celebrates scoring his side's 5th goal during the group A World Cup soccer match between Cameroon and Brazil at the Estadio Nacional in Brasilia, Brazil. Brazil's Marcelo, right, challenges for the ball with Cameroon's Vincent Aboubakar during the group A World Cup soccer match between Cameroon and Brazil at the Estadio Nacional in Brasilia, Brazil. 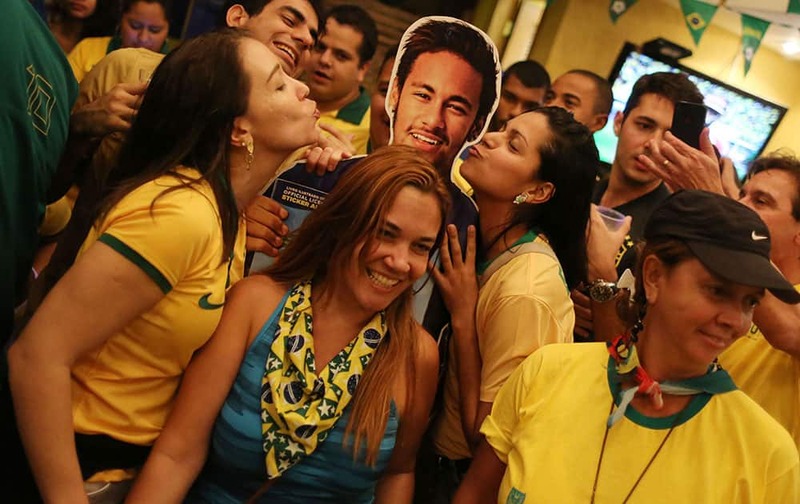 Soccer fans donning Brazil's national team colors pose for a picture with a life-size cutout of soccer star Neymar, after the World Cup match between Brazil and Cameroon, at the Copacabana beach, in Rio de Janeiro, Brazil. 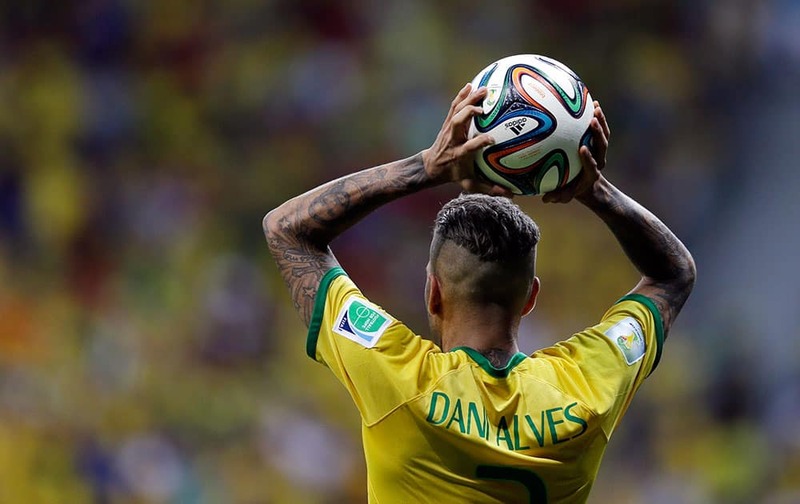 Brazil's Dani Alves throws the ball from the sidelines during the group A World Cup soccer match between Cameroon and Brazil at the Estadio Nacional in Brasilia, Brazil. 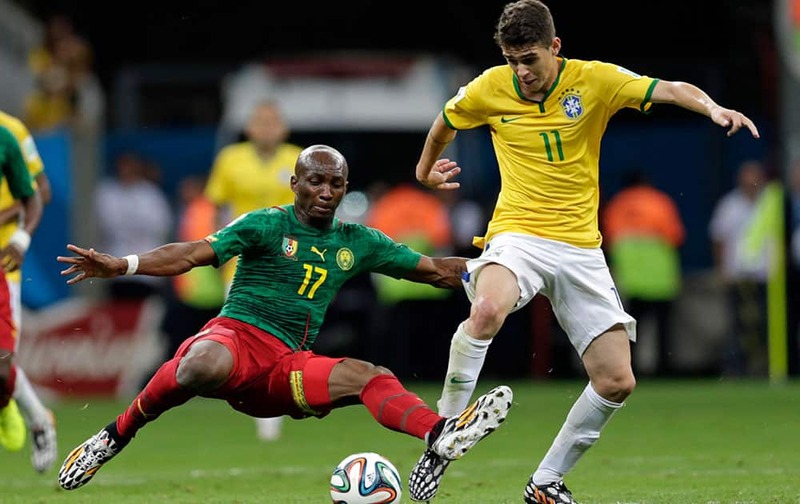 Cameroon's Stephane Mbia, left, and Brazil's Oscar challenge for the ball during the group A World Cup soccer match between Cameroon and Brazil at the Estadio Nacional in Brasilia, Brazil. 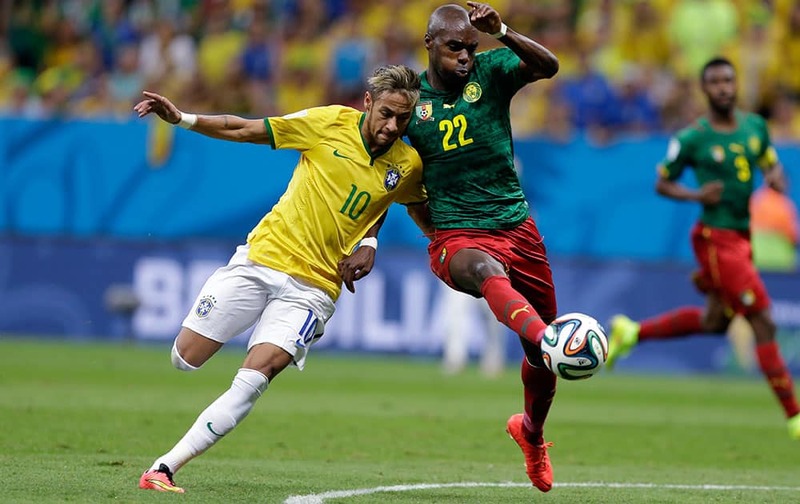 Brazil's Neymar, left, and Cameroon's Allan Nyom challenge for the ball during the group A World Cup soccer match between Cameroon and Brazil at the Estadio Nacional in Brasilia, Brazil. 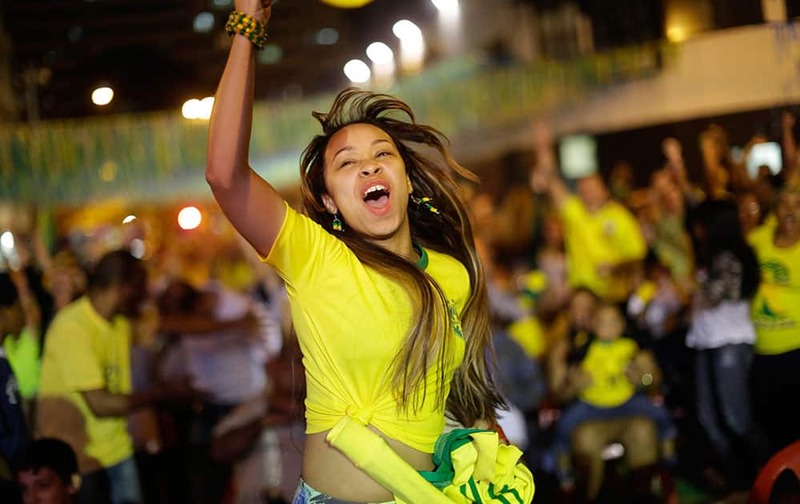 A Brazilian soccer fan celebrates after Brazil scored against Cameroon, while watching the match on a giant television screen in Bixiga neighborhood in Sao Paulo, Brazil. 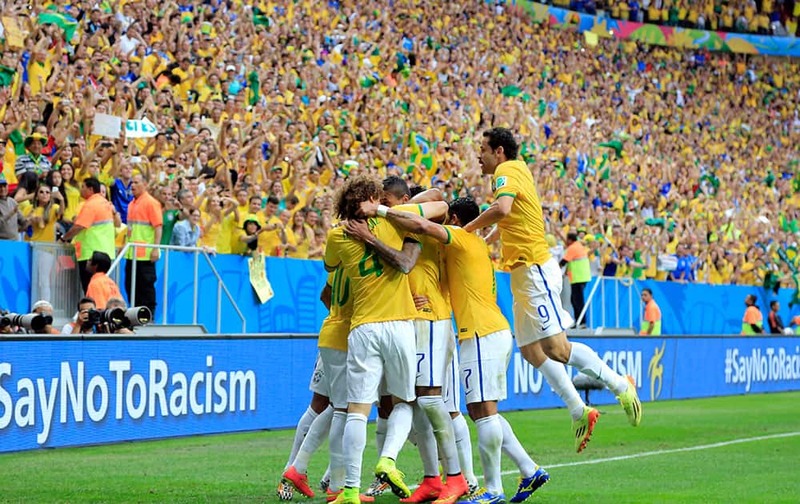 Brazil celebrate after Brazil's Neymar's first goal during the group A World Cup soccer match between Cameroon and Brazil at the Estadio Nacional in Brasilia, Brazil.